I’m a new fan of this vpn, I recently just paid for one month plan and I am having issues to log in into other devices, when I try to login it it says login error ( password incorrect) I don’t know why cos I am not finding it funny at all, I want to use the vpn on my windows laptop, Please can you help me in what to do? Excellent & Great VPN & No Drained The Battery . I’ve had this product for a number of years now. It is lightweight on your system and will has not slowed down any system it has been installed on. Handles everything on all my I-phones and PCs without any interruptions. 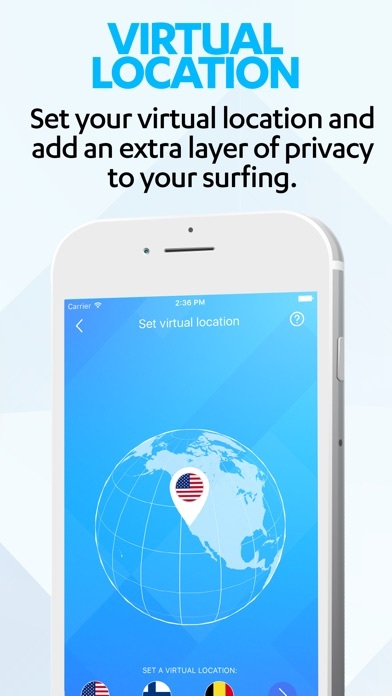 I’m assuming that the VPN is doing its encryption and ad trackers have been almost completely cut out. Also harmful sites get blocked on a regular basis. Other neat and interesting features as well. I’ve used VPNs that are always rated in the top ten by the so-called experts. 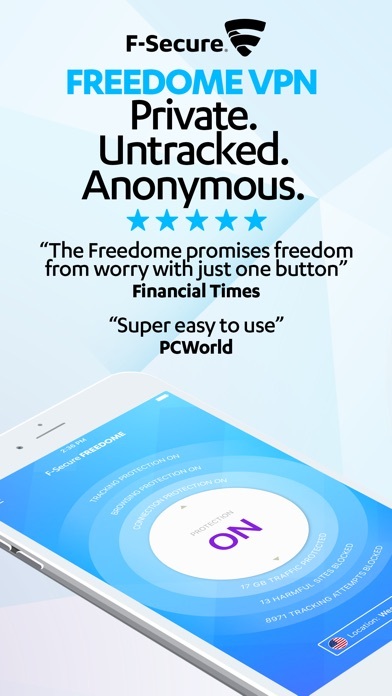 Freedome also includes tracking and browsing protection. I’m a strong advocate of personal privacy. Being located in Finland they answer to EU courts only. On a recent trip, I had a layover at LAX. When I used the public WIFI to check my flight status the app measures 35 trackers during less than 10 minutes on connection. 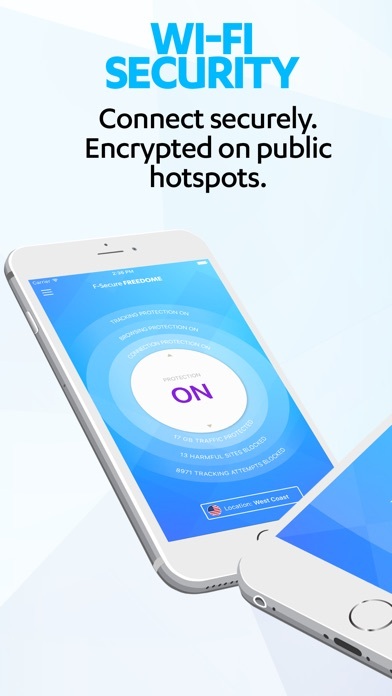 As a long term die-hard F-Secure fan for over ten years, I find this VPN as sadly lacking in its’ ability to consistently provide a connection for my devices. 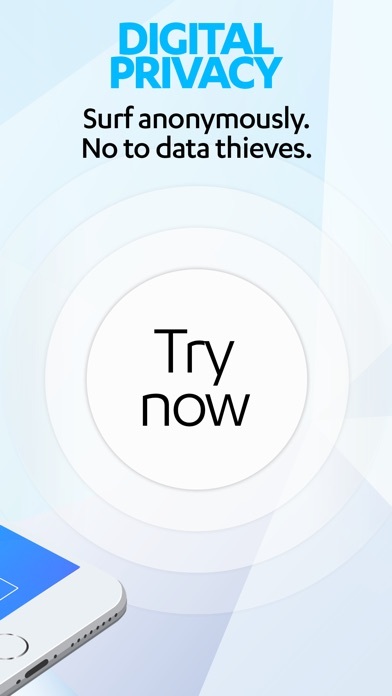 Please understand, I’ve used F-Secure Anti-Virus and other related products, with stellar success, until this product. Unfortunately, the VPN seems to have an extremely difficult time finding a connection, especially during known high volume internet spikes throughout the business day, and such challenges seem to linger day after day, week after week. I used to almost sound like a F-Secure salesman; expounding their excellent products to all who would listen. Yet now, I find myself sourly disappointed with this VPN software, and its ongoing inability to “find a connection”. Unfortunately, utilizing a VPN is a requirement in today’s internet age; I only hope that F-Secure will rise to the challenge of providing a product that will work flawlessly...as their current product fails to connect 86.7% of the time I am attempting to utilize my connection. Best of luck to you at F-Secure! Unfortunately I cannot wait around for your products to work appropriately, I have to fins another provider. ...from a paying subscriber.